Since 1977, more than 850 S-76® aircraft have been delivered world-wide. We were proud to announce at this year’s HAI Heli-Expo that the fleet has amassed more than 7 million total fleet flight hours, while continuing its legacy of safety and reliability. The 40-year anniversary of the S-76’s first flight was celebrated on March 13, 2017. The Offshore mission accounts for 65 percent of the total flight hours accumulated fleet-wide to date. More than 10 percent of the fleet’s flight hours have been flown in the critical life-saving missions of Search and Rescue and Helicopter Air Ambulance transportation. 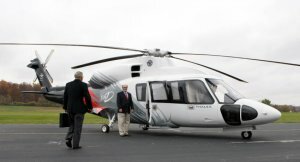 The S-76 is well-known for its work in VIP transportation and utility work. Today, it continues dependable service for all of these mission segments. More than 130 customers operate S-76 helicopters in a Corporate or VIP role. Ten countries rely on the S-76 for the Head of State mission. Sikorsky is proud of the S-76 fleet’s legacy. With more than 7 million hours of service, we are committed to supporting the platform and to continuous product improvements. The S-92® helicopter has become the industry’s standard. It leads the way in compliance with the latest U.S. Federal Aviation Administration and European airworthiness safety standards by meeting or exceeding oil and gas industry requirements. With more than one million fleet flight hours of service, the S-92 helicopter sets the standard for safety. Eleven nations have selected the S-92 helicopter for their critical Head of State missions. In May 2014, Sikorsky was honoured to win the U.S. Navy Contract to Replace ‘Marine One’ Helicopter Fleet and the vote of confidence in the S-92 as a proven and trusted platform. The world’s most advanced executive transport helicopter will be built off of our commercial platform.